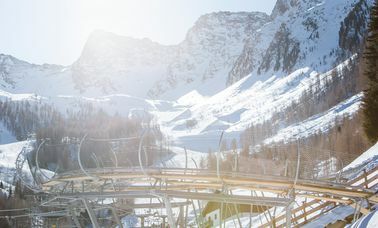 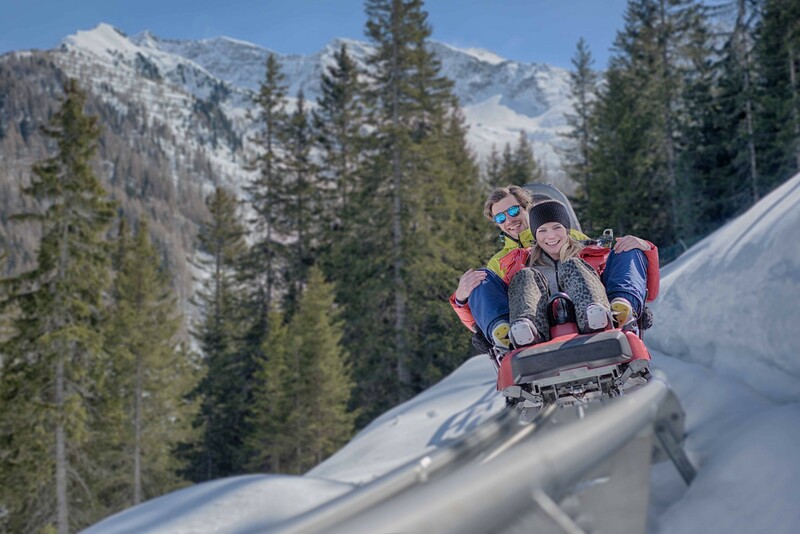 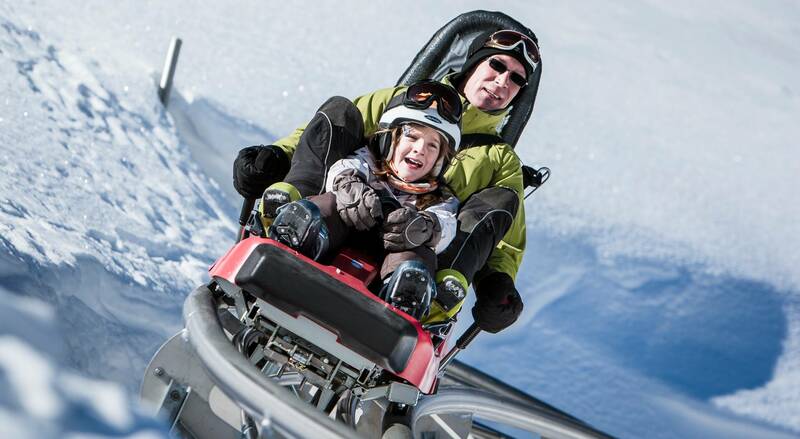 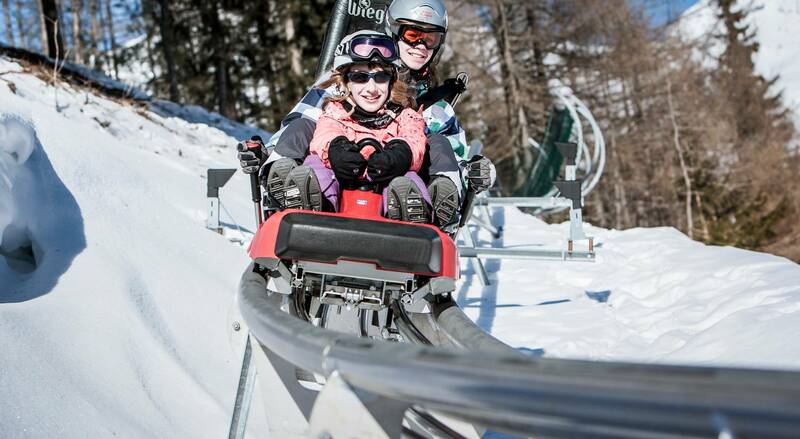 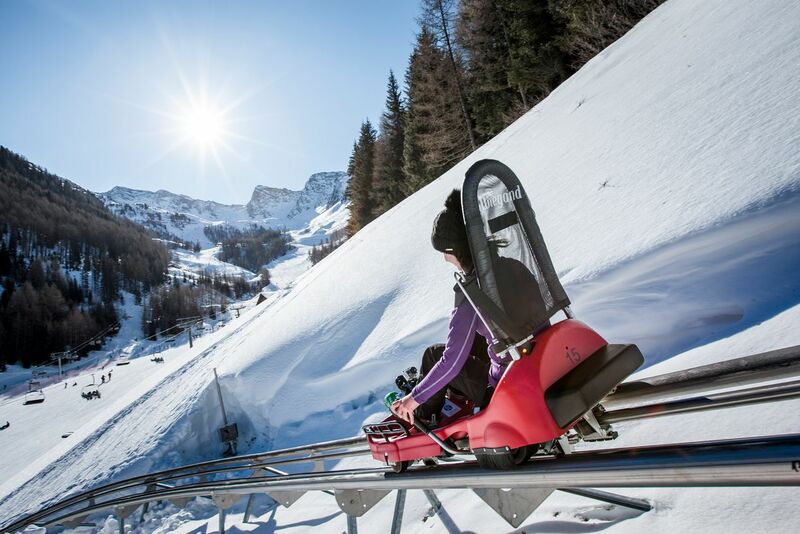 A special adrenaline rush on rails awaits our younger and older visitors in Klausberg: The “Klausberg-Flitzer”, a toboggan run. 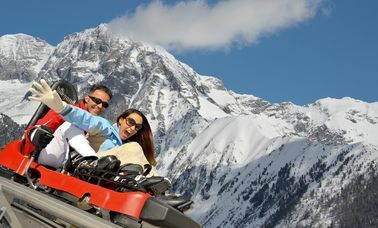 1.800 meters are waiting to be explored by you. 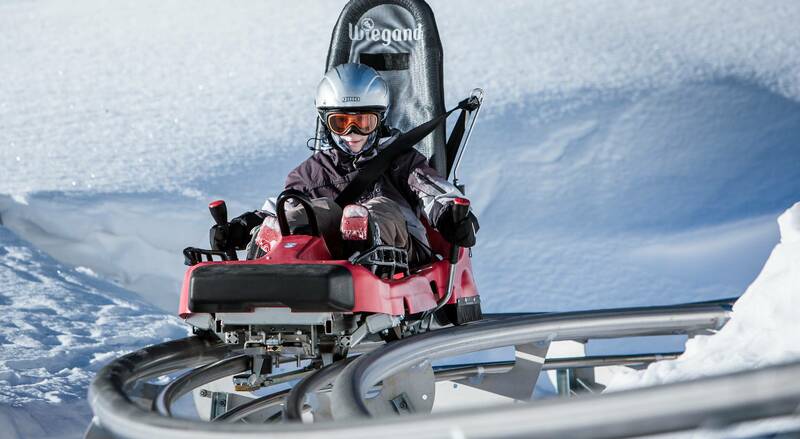 With a maximum of 40 kilometers per hour, you can whiz down while enjoying the view. 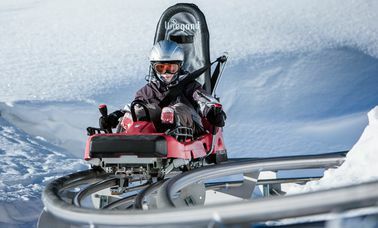 Decide yourself how fast you want to drive: Go full-speed by giving the lever forward and slow down by pulling the lever back: It is that easy. 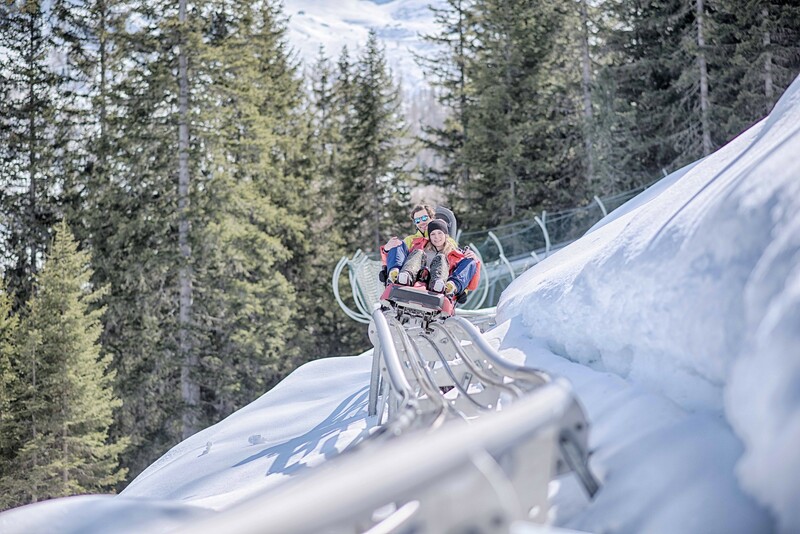 Our jumps and our 360-degree-loop will provide that special adrenaline rush. 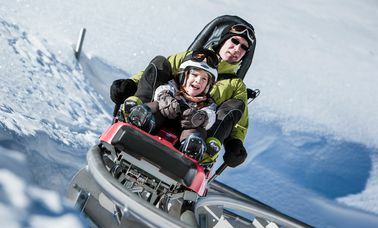 You and your family will remember this trip for a long time. 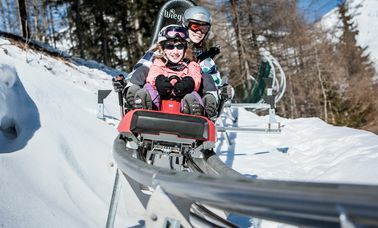 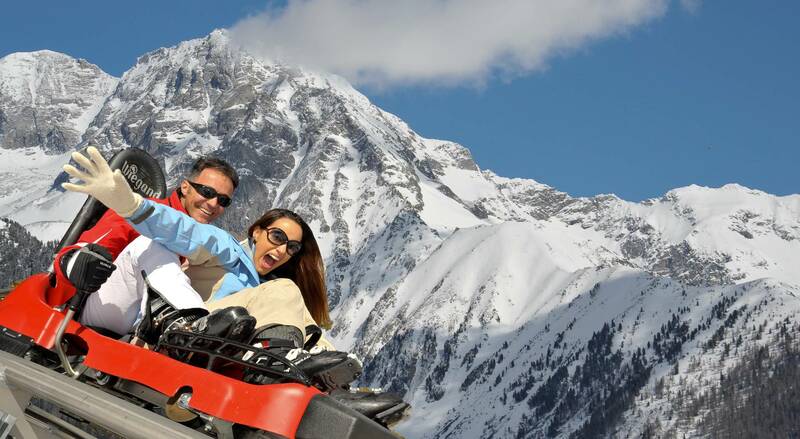 1 ride is included for every ski pass!